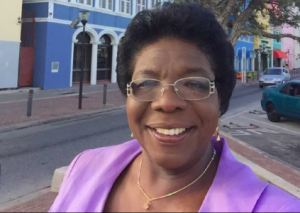 WILLEMSTAD – Curaçao will have to wait for a new Minister of Education, Culture, Sport and Science. The Un Korsou Hustu party of Omayra Leeflang MP will not join the coalition. This was confirmed by a source within the party close to the negotiations. This means that the coalition will not be expanded to twelve seats in parliament. The reason for this decision is the great division within the ruling party MAN and its impact on the negotiations with Leeflang’s party. There were more quibbling about whether Un Korsou Hustu would get the minister post of Education or Finance, which is currently taken by MAN. Then MAN did not want to give away any ministerial posts. The party of Prime Minister Hensley Koeiman wanted to broaden the coalition support in parliament with the idea to create more peace and stability in the government but now the opposite is the case. Later it became clear also that the Pueblo Soberano Party (PS) did not want Leeflang’s party in the ministerial post of education.